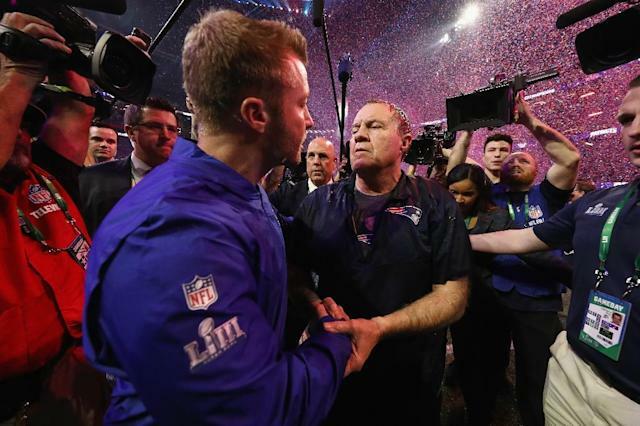 Atlanta (AFP) - Los Angeles Rams coach Sean McVay said he had been "out-coached" by New England Patriots counterpart Bill Belichick after his team's Super Bowl defeat on Sunday. 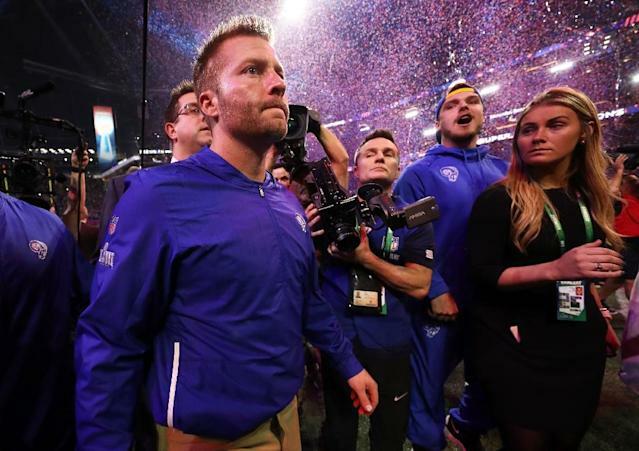 A downcast McVay -- who could have become the youngest coach in history to win a Super Bowl -- entered the game as the hottest coaching property in the NFL after transforming the Rams into title contenders in two seasons. However the 33-year-old was put firmly in place by the Patriots old master Belichick, who devised a defensive scheme which suffocated the Rams dangerous offense. "Coach Belichick did an outstanding job," McVay said. "There is really no other way to put it. I'm pretty numb right now, but definitely, I got out-coached." Belichick, who has taken the Patriots to nine Super Bowls, and who began coaching in the 1970s, now has eight Super Bowl rings, after winning two with the New York Giants as an assistant. McVay was left to reflect on what might have been had the Rams taken their chances. Twice receiver Brandin Cooks came within a whisker of scoring touchdowns only to be denied by the New England defense. "I didn't do nearly good enough for our football team," a downbeat McVay said. "The thing that is so tough about all of this is the finality to it. This one is going to stick with you and it just stings in your gut. "I love these players. And that is where it eats at you because you didn't feel like you did your part to help them achieve success." McVay insisted meanwhile that running back Todd Gurley had been fit to play despite being kept on the sidelines for long periods. "Todd is healthy," he said. "We just didn't get a chance to get anybody going today offensively and that starts with me."